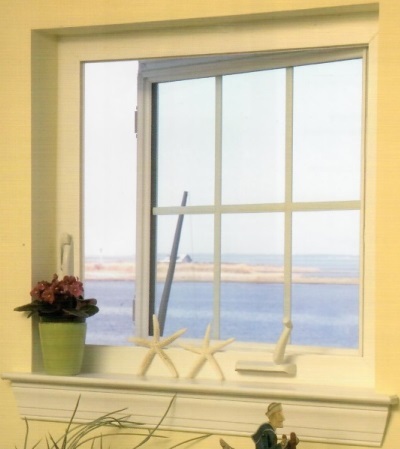 End Vent windows can be opened, and cast light into otherwise dark areas of the home and are the ideal complement to a larger set of windows. 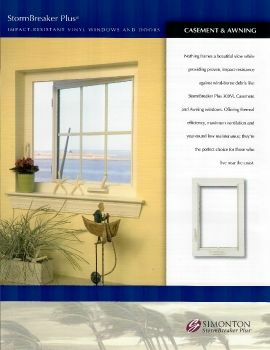 Available in a variety of shapes and sizes, end vent windows are also extremely energy efficient. 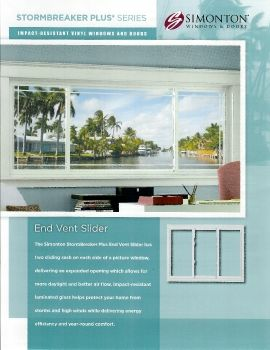 A normal configuration is to have end vent slider at each end of a picture window. 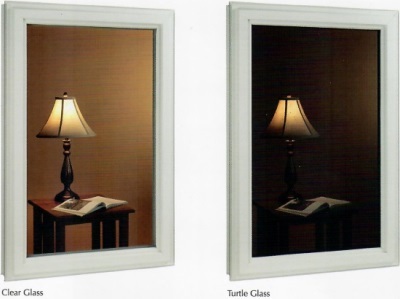 Turtle glass is glass that has been tinted to reduce light projection and has a visible light transmittance of 45% or less. 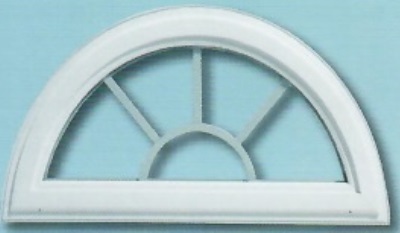 Why is turtle glass required in certain areas? 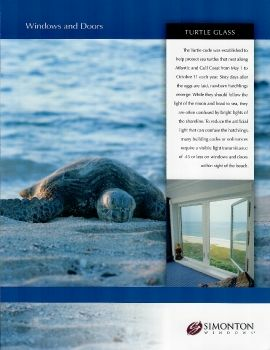 In 1993, the Florida Department of Natural Resources adopted the Model Lighting Ordinance for Marine Turtle Protection, which requires local municipalities to develop guidelines for controlling beachfront lighting and protecting the habitat of marine turtles. 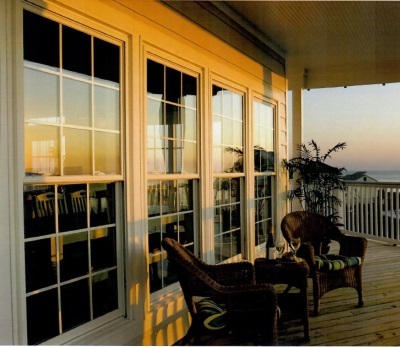 Beachfront residents and businesses are required to close their blinds or drapes and limit outside lights after 9 p.m. during sea turtle nesting season. 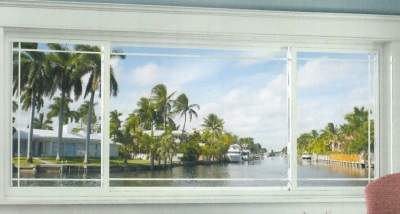 Turtle glass is the perfect alternative – limiting light but still allowing residents to protect their view. 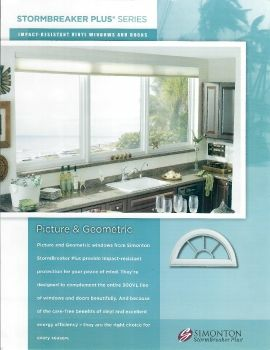 What is Simonton doing to protect sea turtles? 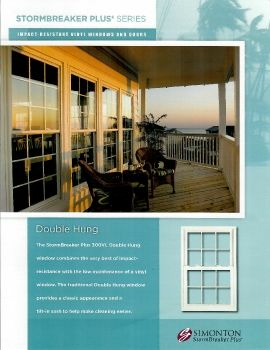 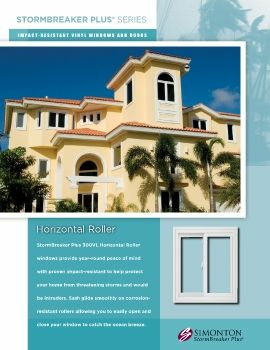 Simonton Windows & Doors Stormbreaker Plus Series ProSolar Turtle Glass protects both your coastal home and turtle nesting grounds. 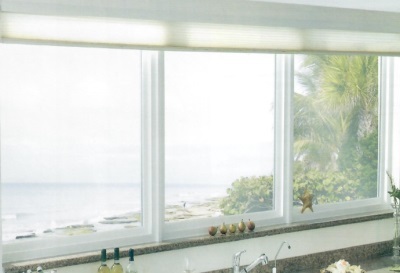 This innovative glass delivers superior energy efficient, glare resistance and meets turtle code requirements along the coast.